We’re a late-stage startup with ample room for growth. We’re looking for a self-motivated Marketing Manager and team-player to oversee our content creation and digital marketing campaigns designed to attract new customers and drive engagement. Headed by relationship management and CRM pioneer and founder of GoldMine, Jon Ferrara, Nimble is reimagining relationship management with an easy-to-use social relationship management platform for teams and individuals. Nimble gathers all of your company contacts into a single system of record, builds contacts records with social business insights and engagement history automatically as you work, and delivers these insights everywhere you cultivate relationships online. Our ideal candidate has a positive attitude, a tireless work ethic and an insatiable appetite to grow. You also have strong managerial skills, detail-oriented research abilities and the ability to work well in a fast-paced, energetic environment while striving to meet high goals. Own the Nimble customer acquisition, conversion and retention journey, including all digital touchpoints. Design, execute, optimize, and measure demand generation/inbound marketing campaigns that drive net new marketing qualified leads and product trials. Plan and manage all digital marketing, including SEO/SEM, marketing database, email, and advertising campaigns, retention campaigns and other messaging during customer’s lifecycle. Do market research, create growth projection reports, set marketing strategies and then measure and report the performance of all digital marketing campaigns. Assess performance against conversion and retention goals (ROI and KPIs). Evaluate possible strategic partnerships and co-marketing with other companies. Utilize strong analytical ability to evaluate end-to-end customer experiences across multiple channels and customer touch points, come up with growth-hacking ideas to facilitate growth. Ability to work with us in-house at our Santa Monica, CA office. No telecommuting. Personal blog & big network of connections. 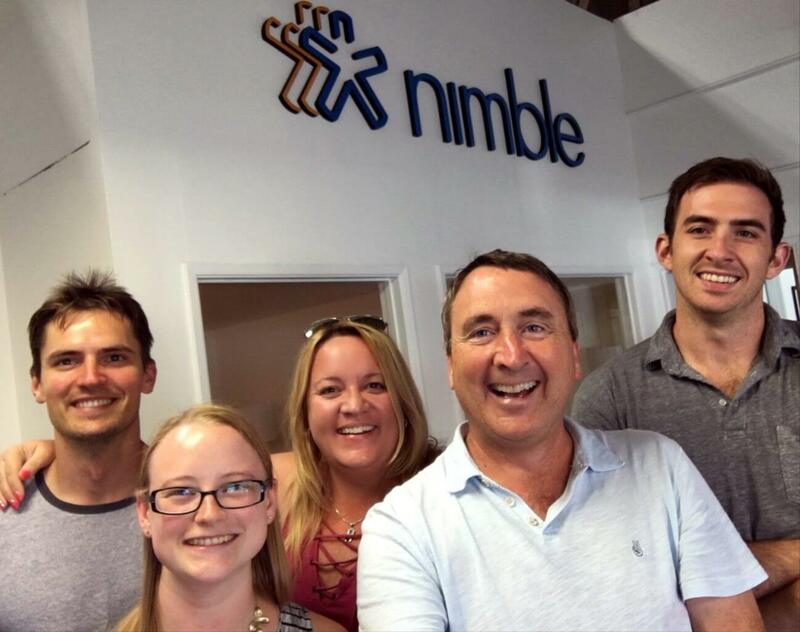 Send your resume and cover letter to careers@nimble.com. We’re looking forward to hearing from you!